All aboard! 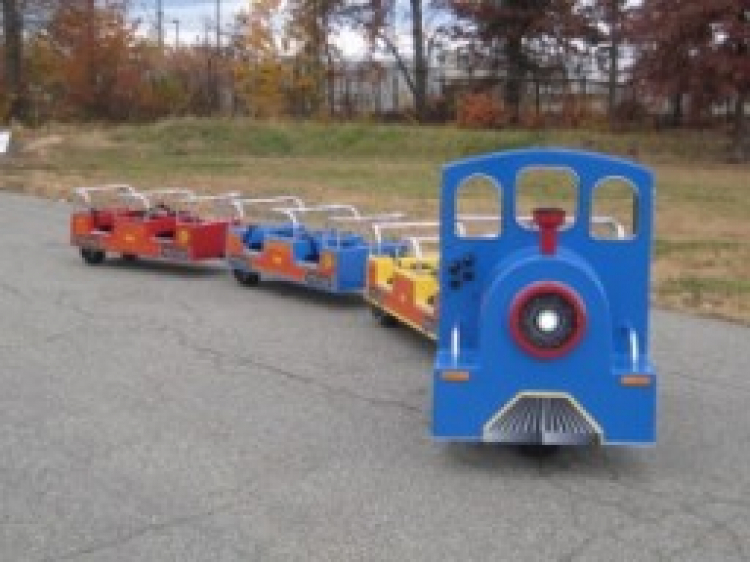 This beautiful Royal Express Trackless Train will keep the children entertained for hours. The train comes with one conductor to drive all your guests around! This trackless train can be used inside or outside and can fit through most people’s fences or doorways. 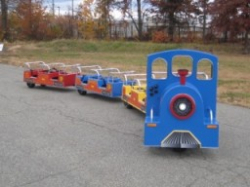 This Trackless Train will provide entertainment for up to 12 children at one time. This item is a 4 hour rental and comes with a conductor. Additional 1 hour rentals: $200.00.